Reporter: Democrats talk about this bill often in very apocalyptic terms, but isn’t really what’s going on is that many people are getting a very modest tax cut and some people are getting a tax increase while a lot of this is also going to business but it’s not the end of the world? 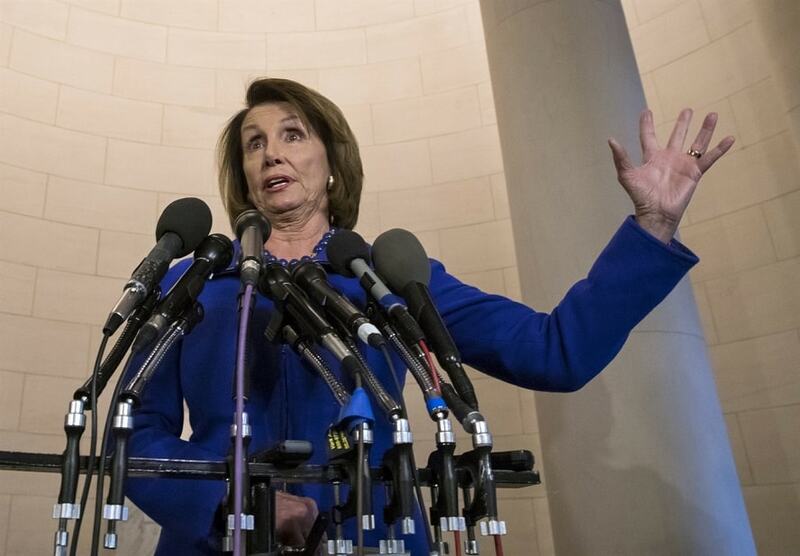 Pelosi: No, it is the end of the world. This—Health care, the debate on health care is life-death. This is Armageddon. This is a very big deal. Because you know why? There is really a very hard way to come back from this. They take us further, more deeply, into debt. What can you do but raise taxes. 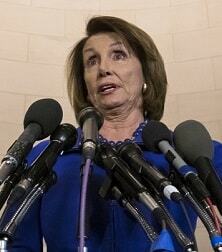 Well, I agree with Nancy - it is Armageddon, not for Americans, but for Democrats. Once the effects of the Trump tax cuts kick in, more jobs, higher wages, more prosperity, greater economy - then Democrats will lose even more power in Congress and in state governments. The last thing Democrats need is for Trump to succeed, for America to be made Great Again. Indeed, in my article Democrats are Upset that Donald Trump Does Not Want to Start a War with Russia: A successful Trump Presidency is the best thing for America and the worst thing for Democrats.